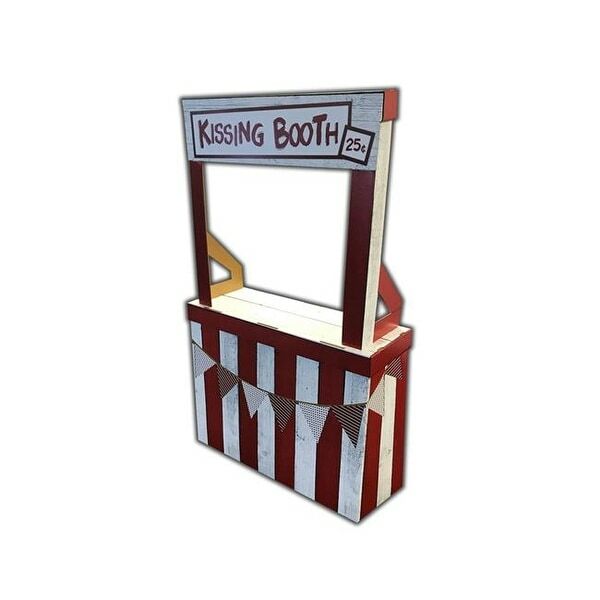 Pucker-up in our adorable cardboard Kissing Booth! Lightweight and easy to assemble, this 3D Booth is perfect for photo ops or a Valentine's Day carnival. Note: Not designed for heavy loads. Size is: 35" W x 13" D x 58" H .
Size: 35 x 13 x 58 in.